SANTIAGO, Chile Four Chilean men were convicted of first-degree murder Thursday for beating a gay man to death and carving swastikas into his body. Daniel Zamudio's slaying set off a national debate about hate crimes in Chile that led Congress to pass an anti-discrimination law. As the judge read the guilty verdict, Zamudio's mother sobbed and her son's killers stood motionless and stared blankly at the floor. Judge Juan Carlos Urrutia said Patricio Ahumada Garay, Alejandro Angulo Tapia, Raul Lopez Fuentes and Fabian Mora Mora were guilty of a crime of "extreme cruelty" and "total disrespect for human life." The judge said the attackers burned Zamudio with cigarettes, beat him with glass bottles and broke his right leg with a heavy stone before they abandoned him in a park in the Chilean capital on March 3, 2012. The sentence will be read Oct. 28. Prosecutors are asking for jail terms ranging from eight years to life in prison. "We're satisfied with this ruling. There's a before and an after the Zamudio case," said Rolando Jimenez, president of the Gay Liberation and Integration Movement. "It generated such outrage because of the brutality, the hate, that it helped raised awareness," Jimenez said. "We've witnessed a cultural change that finally led to an anti-discrimination law." The law had been stuck in Congress for seven years, but President Sebastian Pinera put it on the fast track after Zamudio's murder. The law adopted last year enables people to file anti-discrimination lawsuits and adds hate-crime sentences for violent crimes. Zamudio, a clothing store salesman, was the second of four brothers. He had hoped to study theater. 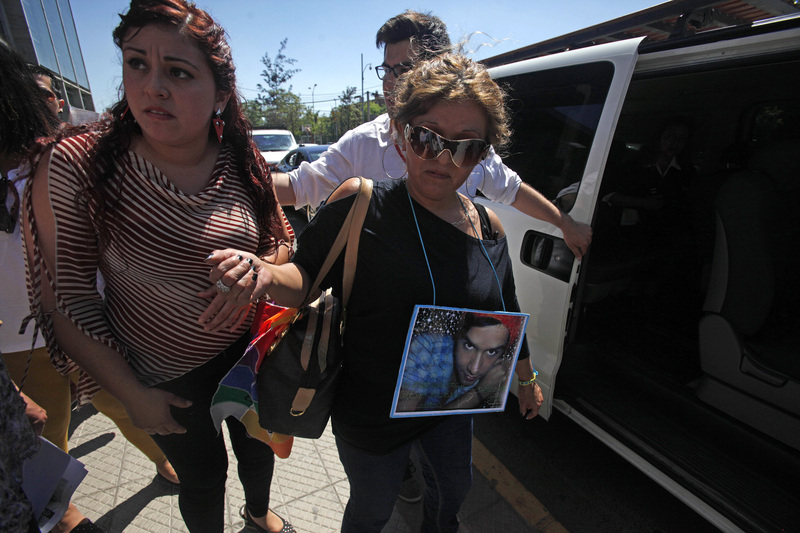 "Nothing can change the tremendous pain suffered by Daniel's parents," presidential spokeswoman Cecilia Perez said. "But there's no doubt that today some tranquility has finally reached their hearts. It's the tranquility that comes with justice."